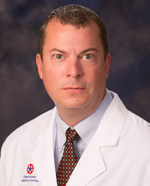 He is a board certified Physician Assistant and a member of the American Academy of Physician Assistants. Michael has previously worked as a neurosurgical Physician Assistant, an orthopedic spine Physician Assistant and in an Internal Medicine practice. Mr. Guiles has experience in treating opioid addiction. In 2002 he served in the Immunization Project in Billings, Montana administering routine immunizations to hundreds of underserved community members. Michael's hobbies include fishing, golf, music and travel. Using the five pillars of pain management- physical, pharmacological, interventional, psychological and adjunct therapies we give complete pain management care.